The Riviera Maya is a tourist area of ​​Mexico, located in the coast of the Caribbean Sea, despite being an area known for its extraordinary beauty and white sandy beaches, for centuries it remained one of the best kept secrets by Mexican and foreign travelers. Throughout it there are several tourist attractions and locations such as Playa del Carmen, Puerto Aventuras, Akumal, Tulum and the Sian Ka'an Biosphere Reserve. On its shores sits an extensive coral reef, home to a huge variety of marine species. If you dive into its waters you will find yourself surrounded by wildlife such as the whale shark, tropical fish, stingrays, sea urchins, and corals; nevertheless the sea is not the only place where you can practice water activities, the area has an impressive amount of cenotes in which all tourists can enjoy a day full of new experiences. From your arrival in the Riviera Maya, you will be surprised of the prodigious land that you will find in it. Its ancient rulers, the Maya, were in charge of decorating this paradise with all kinds of ruins and, together with their successors, were responsible for preserving its natural attractions such as the cenotes, jungles and beaches. 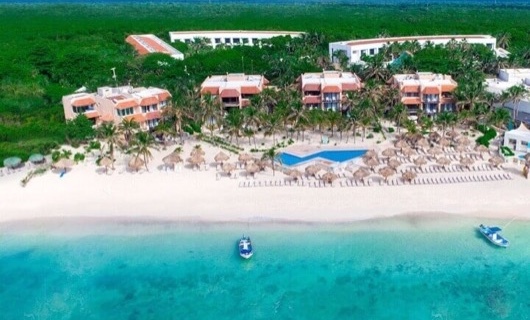 If you are planning a vacation in the Riviera Maya, the Oasis Hotels are a great lodging option, since they have three fabulous all-inclusive resorts that suit all budgets, perfect for traveling with family, friends or couple. 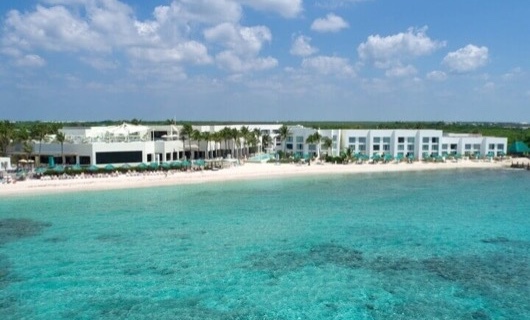 Get to know our resorts, located in the heart of the Riviera Maya, few kilometers away from Akumal and Tulum. A resort that perfectly mixes comfort with top-level facilities. Ideal for travelling with family, this hotel meets all the needs that adults and children may have during this vacation. With areas specially designed for the whole family to relax and enjoy all natural attractions, the Oasis Tulum Lite hotel is the perfect choice for an >all-inclusive family holidayCaribbean Sea beaches. In this resort you can enjoy the best experiences of the region, whether they are dynamic, gastronomic activities or simply taste a refreshing drink while you relax on the beach or in the pools. Grand Oasis Tulum hotel is a great option to spend a vacation with your partner or with friends in the Riviera Maya, with luxury facilities and all-inclusive benefits that will make you have an unforgettable time. Get to live a unique Riviera Maya vacation, enjoying the exclusivity and luxury that this all-inclusive resort offers. Perfect for a romantic getaway, relax in our incredible suites with terraces, private Jacuzzis and breathtaking views of the Caribbean Sea, also delight yourself with all the gastronomic options and savor the best Mexican and international food. Treat yourself to this experience and enjoy an authentic vacation staying at this hotel. Wow what an awesome time my family and I had for my nieces 15th Birthday! It was our first time in Mexico and this is the best experience and the staff incredible. From the front desk personnel being so attentive, Fanny, Yahir and Fabian are awesome! A tale of two resorts. It was wonderful the days we were in Mexico and OASIS is a great resort. We like it to much. The instalations are very good, the service also. The beach is very well cared for by the hotel. The ffood is also great. My husband and I just got back from our vacation in Riviera Maya staying at the Oasis Tulum Lite. Before I give you my honest and sincere review, let me just say that my husband loved it.